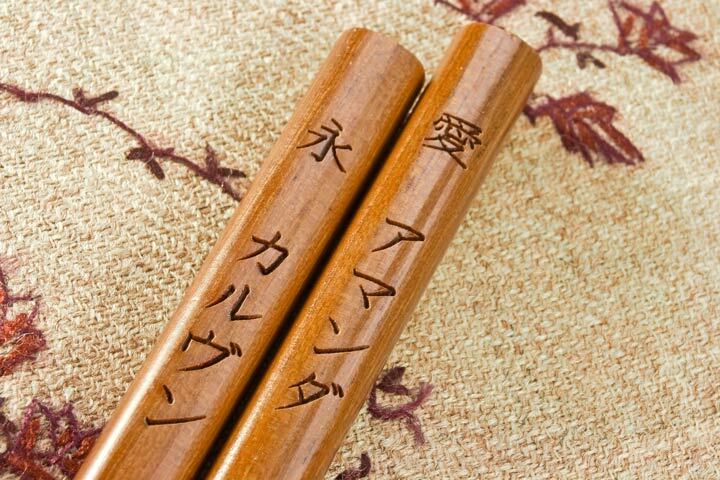 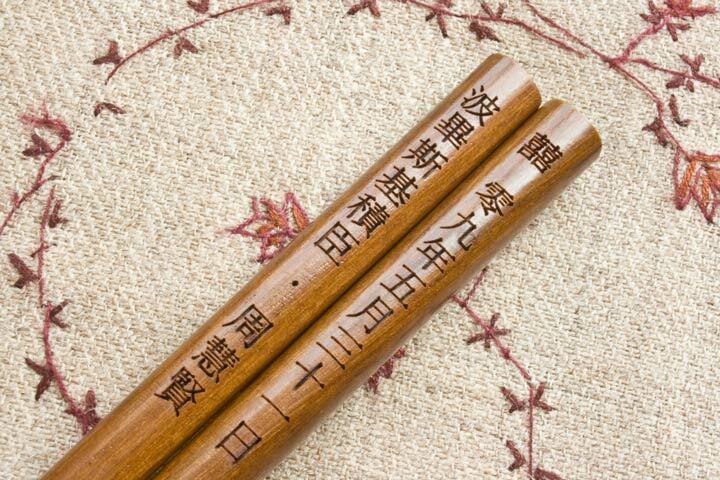 Our caramel-toned chop sticks are made of ironwood, the special characteristic of which is its beautiful wood grain. 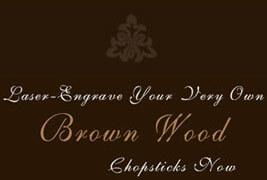 In order to show off its natural beauty, each piece is hand-selected and fine-polished to perfection. 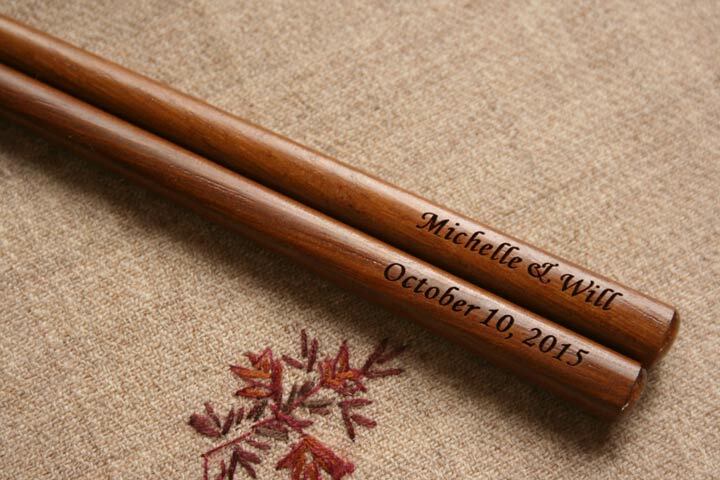 This durable hardwood offers long lasting quality and creates harmony with any table-setting. 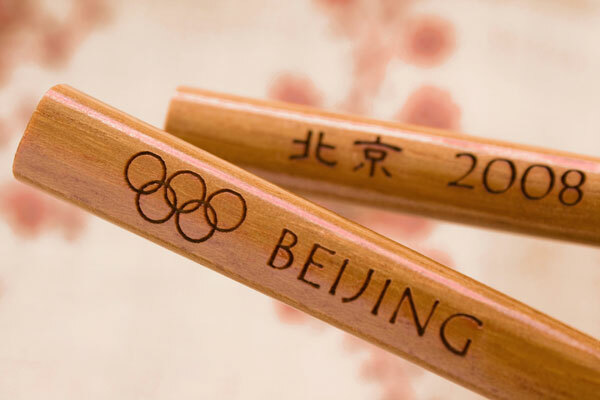 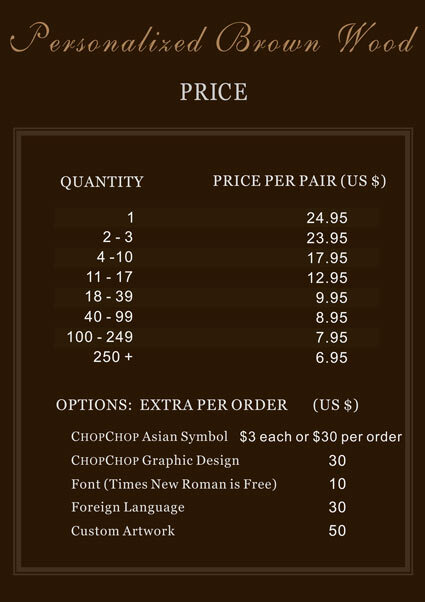 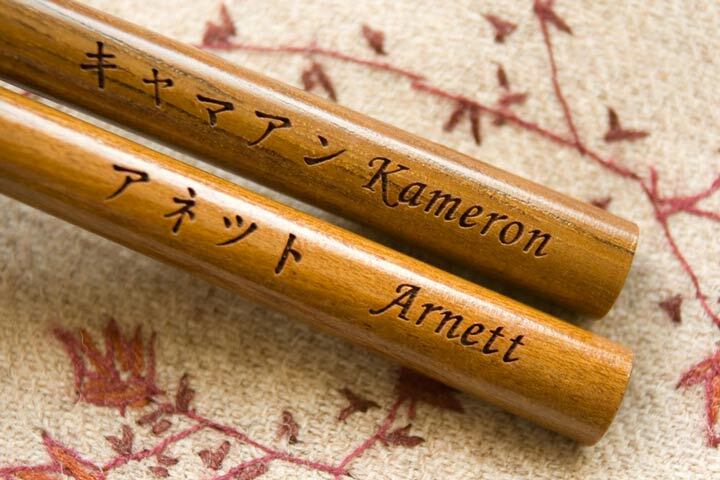 Getting these personalized chopsticks, custom-engraved to your specifications, will make great party favors or a perfect gift for someone who loves Asian food! 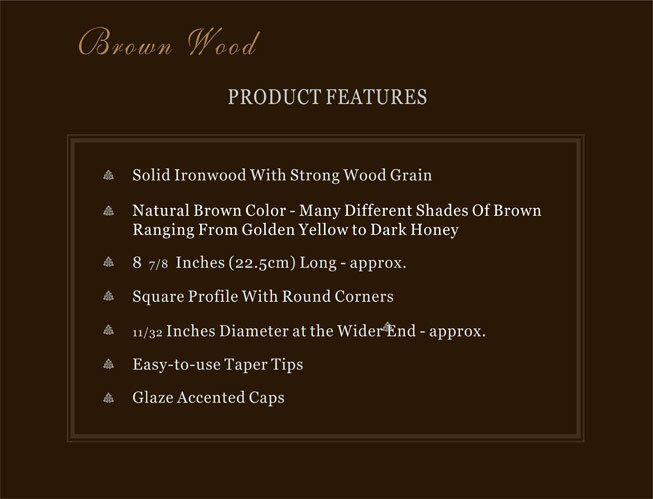 - 11/32 Inches Diameter at the Wider End - approx.